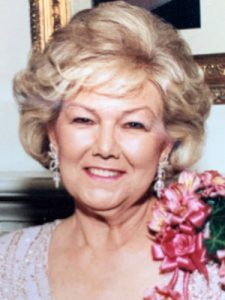 KILL DEVIL HILLS — Verna Dean Ellis Sheets, 91, of Kill Devil Hills, NC peacefully went home to be with the Lord Monday, March 25, 2019. Born in Glenville, West Virginia on June 28, 1927, she was the daughter of the late Vera B. Coberly Ellis and Clark Ellis. She attended Glenville Elementary and High School and graduated from Glenville State College. Dean loved music, she sang in the church choirs, directed choruses, and led a handbell choir at her church. Dean worked as a travel consultant assisting many to experience vacations of their dreams. She was a gracious hostess and enjoyed traveling with her husband Norman. Her well-known favorite color was pink, which she proudly displayed in her attire and decorating. Dean and Norman lived for many years in Timonium, Maryland and enjoyed the company of numerous friends. They moved to Southern Shores, NC in 2011. Dean is survived by her husband of 69 years, Norman L. Sheets; two daughters, Deana Kay Hastings and husband Michael and Stephanie Jan Eanes and husband Sandy Eanes. Grandchildren include Zachary, Clark, Abigail, Rex, and Hannah; two great-grandchildren Emma and Carter. A celebration of life will be held at Kitty Hawk United Methodist Church, May 25, 2019, at 11:00 am.